A SECRET: After looking at "setup.exe" under Notepad, the Tech-Soft setup seems to require the file "SNAP.BMP". I don't get it. It's just an empty installer. Originally when I ran this, I thought it would work, but I couldn't get past this. Tech-Soft isn't much. It's just a demo of an installer. It is sad, because this uses the Future.Library, and this is one of the worst GUIs developed with it. 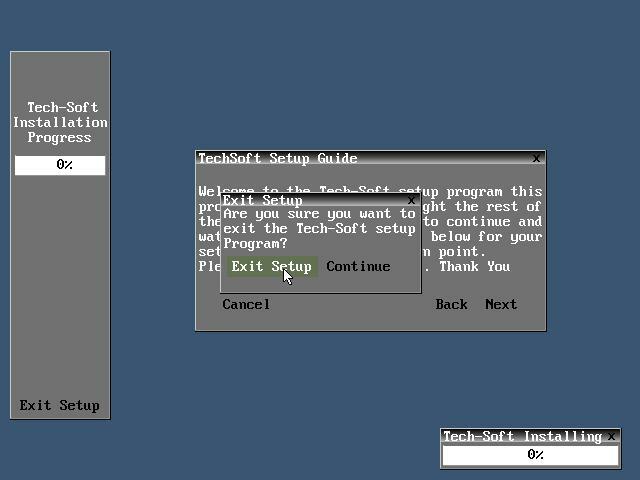 If Tech-Soft actually had a GUI with it (besides this installer), it would be better and more notable.